Accommodation is normally available from 4pm and we request that you vacate your room by 10:30am. If you need to check in early, please let us know. Breakfast is served between 8am and 9am in the dining room. There is a separate table per room or tables may be shared if required. In the Lounge there are settees and easy chairs for ten people. A box full of games is available for the use of guests. Tretower has a super-king double (which is also available as two single beds) and an en-suite shower room. A bay window with seating area and coffee table affords views of the garden and surrounding countryside. 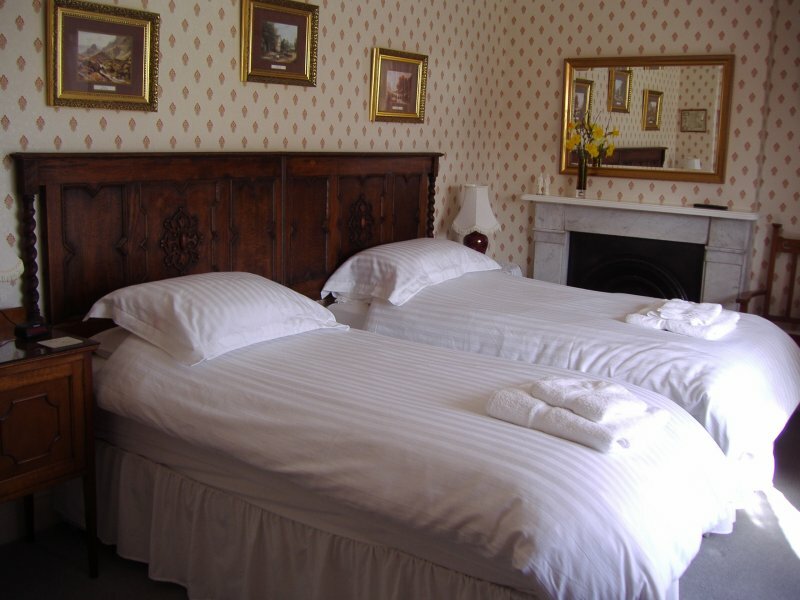 Clifford has a double bed, an en-suite shower room, easy chairs and views of the garden and countryside. Castell Dinas has three single beds, an en-suite bathroom with shower over, easy chairs and views of the garden and countryside.